The Multicultural Center is under new administration. Beatriz Rendon Bautista, who graduated last year, is the new Program Coordinator for Multicultural Programs and Services. Nicholas Domenichini is the Program Assistant for Multicultural Programs and Services. The Multicultural Center was previously run by Esperance Ibuka. 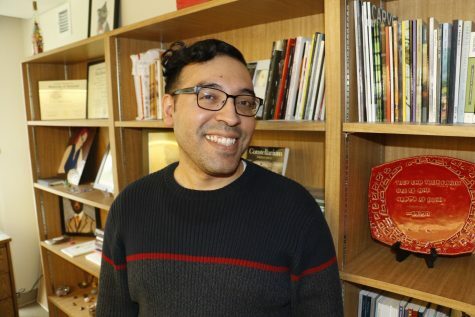 Ibuka, who used to be the Programs Director for Multicultural Programs and Services, has been a part of the Linfield community for seven years. She is currently on personal leave, according to Bautista. The Multicultural Center is open to the entire campus community. The center is run by Multicultural Programs, which regularly provides supplies and some funding for clubs and events as well as advises them about where they can receive further funding from. When new people are in charge that often means changes are coming to how things are run. However, this is not something that students who use the Multicultural Center should have to be concerned about. Despite the change in staff, Bautista says that students should not worry about any new changes to the Multicultural Center. She says that she is familiar with the way things usually go there and does not plan to change it. Bautista also says that the Multicultural Center is student led and student ran, and that it continues to cultivate diversity and be a safe space. While Bautista has been a part of the Linfield community for a while, this is not the case with Domenichini. “I am certainly a new member of all things Linfield College since I never was a student here, therefore the Multicultural Center is quite new to me. I have been a program assistant since August 20th of this year,” he said. Despite being new to the community, Domenichini is also not worried about things changing too drastically in the Multicultural Center. “Due to the nature of Multicultural Programs, the clubs we assist with are all student ran so the space is really for them. If the students require any changes for the space, we will accommodate. Due to this years’ student club needs, the Multicultural Center has not had any changes,” he said. The general consensus seems to be that students who use the Multicultural Center do not need to worry about any changes to the space because of how student-run the center really is. There are new people in the positions of Program Coordinator and Program Assistant, but what really makes the Multicultural Center what it is are the students who use it. Bautista and Domenichini have no interest in changing things. They plan to keep the Multicultural Center as the open, safe, and accepting place it has been for years. The only real change is the people in charge.